Imagine how many kids were inspired. This is something to be thankful for. They say “self medicating” like it’s a bad thing…? Rain tonight and for the next couple of days here in southern California. You’re going to think I’m nuts, but sometimes I miss the honest-to-gosh THUNDERSTORMS in south Florida. But right now I’m watching Radiohead: In Rainbows on the DVR and listening to the rain outside. 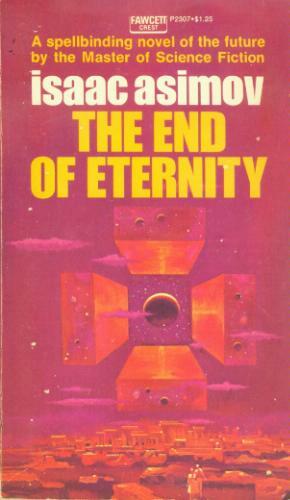 The film rights to Isaac Asimov’s 1955 novel, The End of Eternity, have been acquired by New Regency. The project was most recently at Paramount with Ridley Scott and Tom Cruise involved but it never went anywhere. New Regency will try to interest some directors before hiring writers. As a kid, I got hooked on Star Trek, and this led to my love of science fiction movies, and eventually to my discovering something called “books.” Two of the earliest sci-fi novels I remember reading were Robert Silverberg’s The Silent Invaders and a rather weather-beaten paperback copy of Asimov’s The End of Eternity. My young brain was forever scarred by the time paradoxes therein. It’ll be interesting to see what kind of visual take someone might have on Eternity. It’s been so long since I’ve read it, though, I barely remember the plot points. Too bad the book’s out of print. I have a little routine every morning. When I wake up, I grab my gun from the nightstand and gently slip the barrel into my mouth. Then, I try to come up with at least one reason to not pull the trigger. Some days, it takes me a few minutes. Or, at the very least, the dog insists on being taken for his morning walk. LOS ANGELES (Hollywood Reporter) – The “Arrested Development” feature is moving closer to reality, with the producers of the critically acclaimed but short-lived Fox series reportedly closing deals for the project. A big-screen adaptation has been a hot topic among fans for the past year. Speculation has been fueled by cast members, including Jason Bateman, Will Arnett and Jeffrey Tambor, being frequently quoted in interviews as saying that plans were in the works to bring the dysfunctional Bluth family to the big screen. Mitch Hurwitz, who created and executive produced the Emmy-winning series, is on board to write the film for arthouse studio Fox Searchlight as well as direct with help from Ron Howard, whose Imagine banner was among the show’s producers. 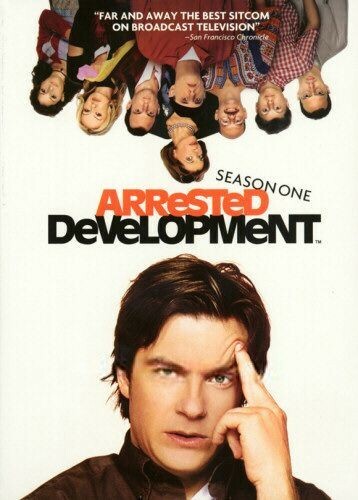 “Arrested Development,” which ended its three-season run in 2006, was Howard’s pet project. He had a lot to do with its distinct visual style. In the final episode, Howard, playing himself, heard the Bluth TV family’s pitch of their story and liked it for a movie.